My Aunt Has Bruises on Her Arms. Can I Do Something? Home » The Law & You » My Aunt Has Bruises on Her Arms. As Power of Attorney, Can I Do Something? My Aunt Has Bruises on Her Arms. As Power of Attorney, Can I Do Something? As power of attorney for his aunt who lives in a nursing home, a viewer has found bruises on her arms. What should his next steps be? 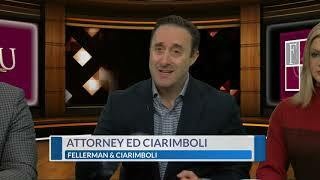 Personal injury attorneys Ed Ciarimboli and Harry McGrath Jr. has the answer.